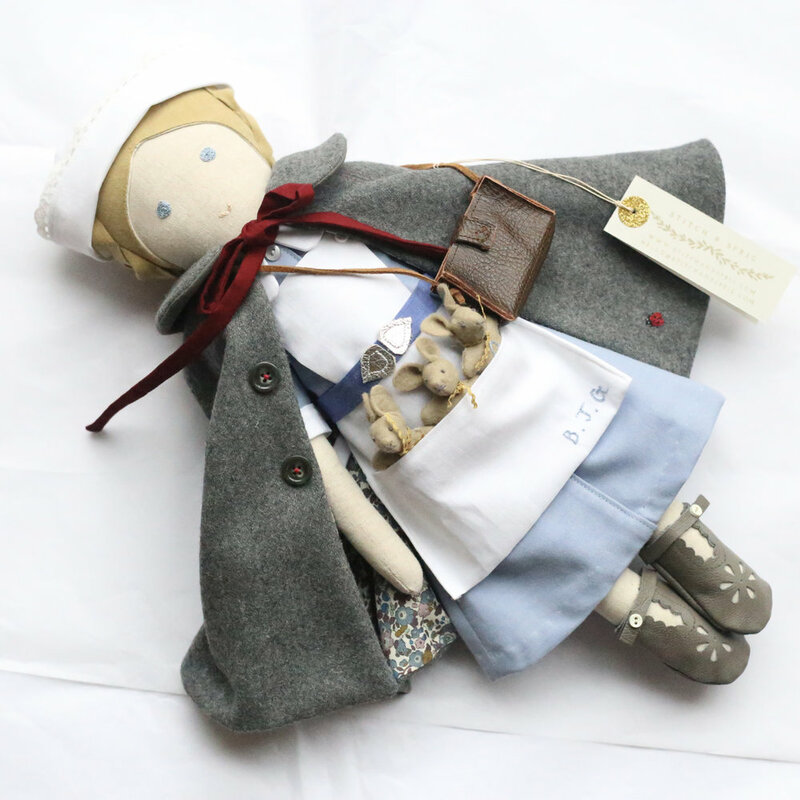 Hand-made heirloom dolls available through my Folksy Shop. 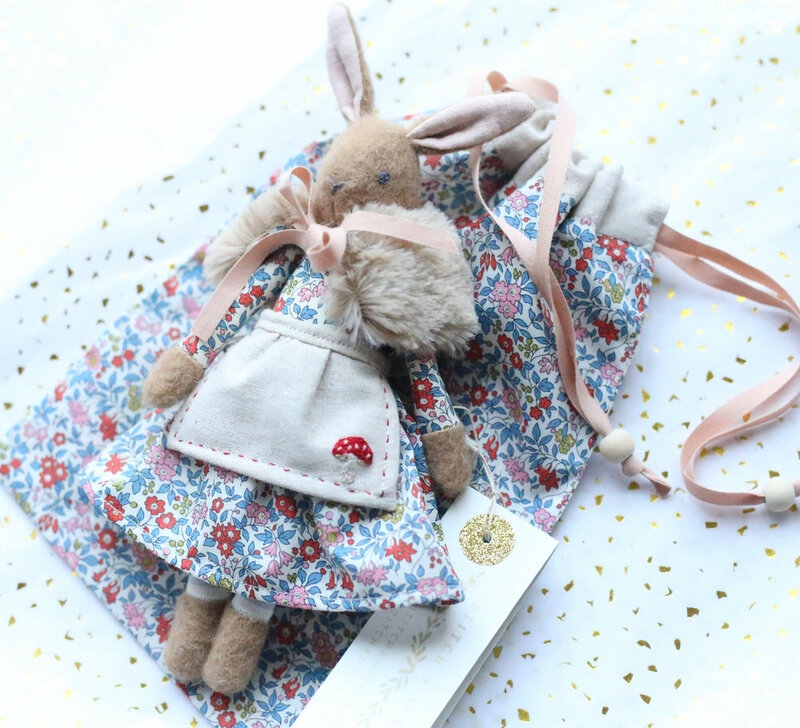 I love making dolls and bunnies to order, creating something unique incorporating embroidered initials, names or motifs. 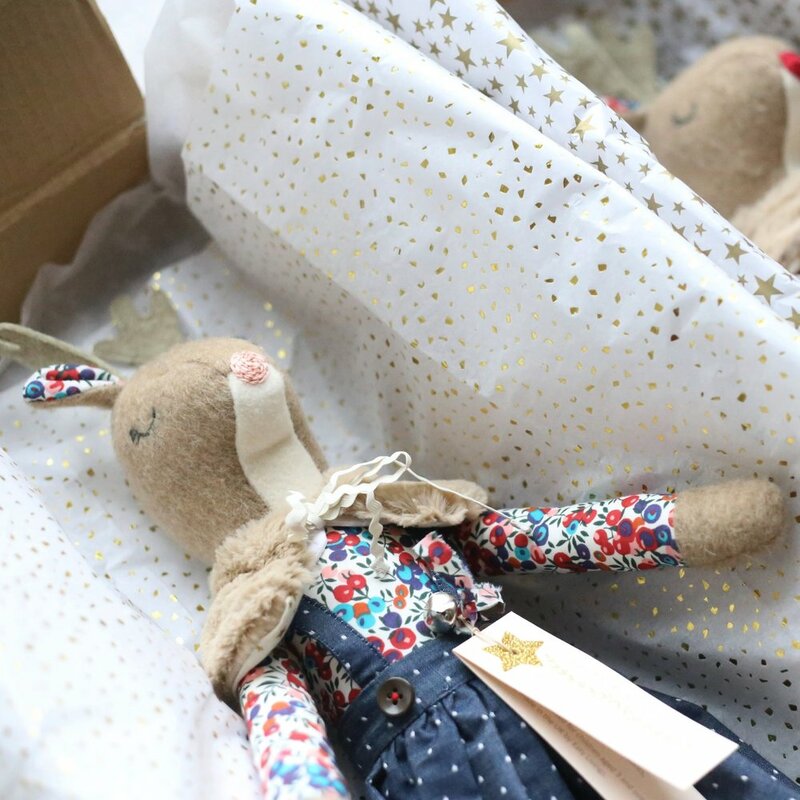 I work with a range of Liberty of London fabrics and my dolls and bunnies are constructed from wool and cotton. Accessories can include little leather bags, capes and aprons. 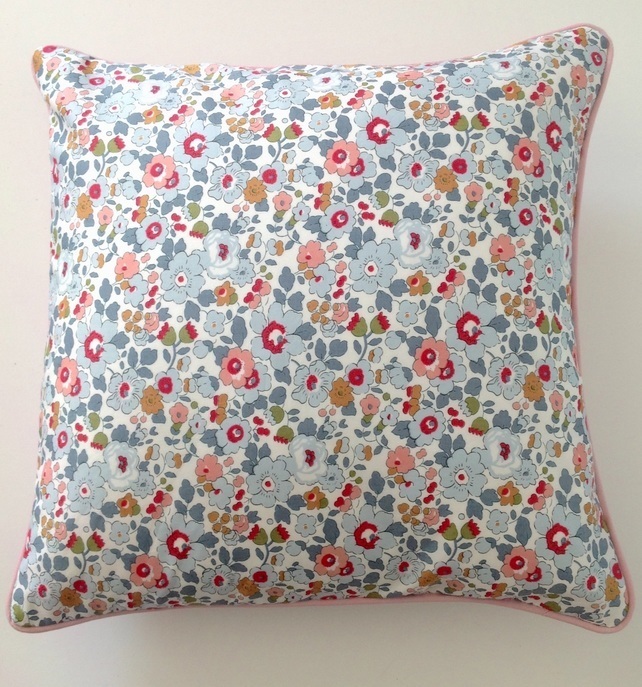 For all enquirires please email me at hello@stitchandsprig.com. I try to allow for up to 8 weeks from payment to delivery. All my products are designed as decorative items only, please be aware that they are not suitable for babies or children.